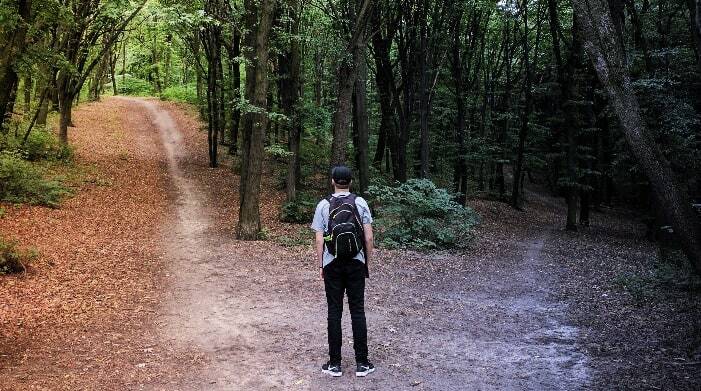 One big question all US-based full time travelers must ask themselves is, “What state do I wish to domicile in?” The state you choose can have a big impact on several aspects of your life, so this is something you will want to carefully consider. On top of that, while changing your domicile state doesn’t have to be too terribly hard, it also isn’t the most fun process in the world, meaning you probably aren’t going to want to switch over and over again. Therefore, choosing the right state for you right off the bat is definitely a major bonus. 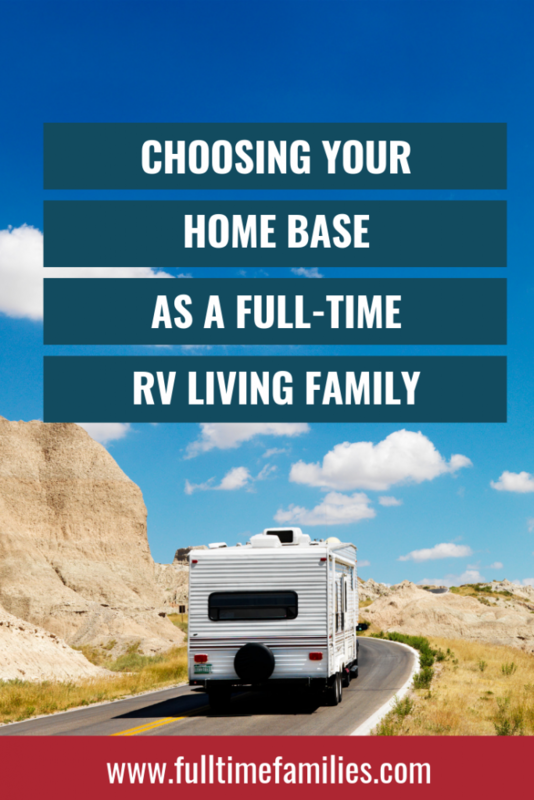 Wondering how in the world you narrow down your choices and pick the domicile state that is best for your RV family? This article should help you out there! Let’s start by addressing a very common point of confusion: the difference between your domicile and your residence. For those who live in a stationary home, this question doesn’t usually come up. This is because stationary individuals tend to have the same domicile state and state of residence, and rarely think about the two being different at all. That said, they are different things, and this matters to RVers and other full time travelers. A domicile is like a home base. It’s where you recieve mail, register your car, and pay taxes. You will follow the homeschooling laws of your domicile state, and your driver’s license will be from this state. Meanwhile, your residence is the place you live at any given moment. An RVer’s residence can change from week to week and even day to day, while their domicile will remain the same until they choose differently. Does the state in question have a state income tax? What about inheritance tax or personal property tax? This is something you’ll definitely want to keep in mind. Obviously, a state with no income tax is ideal and could potentially save you some big bucks, and the other taxes might matter a lot as well depending on your situation. 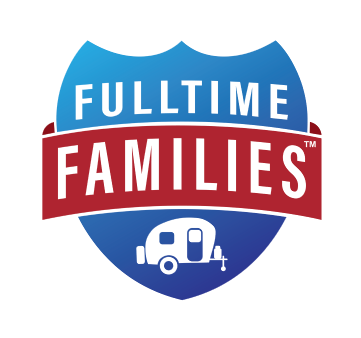 Click here to read more about doing your taxes as an RV living family. Vehicle registration is another biggie. What kinds of taxes and fees will you need to pay when registering? You’ll also want to find out how difficult the registration renewal process is, especially if you don’t plan on returning to your domicile state to renew each year. Some states require that all vehicles come in for an emissions test once a year. Obviously, this can really put a kink in things if you don’t plan on returning to your domicile state often. That said, there are some states that only require the annual test when you’re within state lines. Therefore, you can simply plan to have the emissions test done whenever you return instead of planning your travels around the test. Homeschool laws vary significantly from state to state. Some states require curriculum approval and regular testing, while others have absolutely no regulations in place. As you might guess, the more lax homeschooling laws work out better for most roadschooling families, as returning to a certain state for meetings and tests can be taxing. 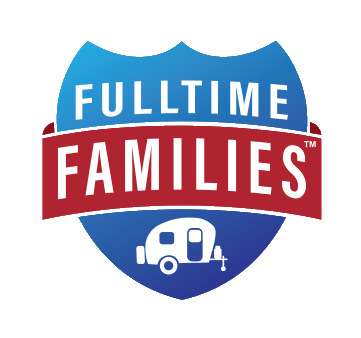 Click here to read more about roadschooling your children while RVing. How does the state you’re considering handle out-of-state voting? Are absentee ballots allowed in state and local elections? This is something you’ll definitely want to know going in. Insurance rates can fluctuate wildly between states. Obviously, you’ll want to be aware if your rates are going to skyrocket once you change your domicile, and knowing that one state will be much cheaper than another can be helpful. On top of rates, if you plan on using the Healthcare Marketplace you may also want to take a look at what kinds of plans each state has to offer. Some have a wide selection of nationwide plans while others may have no plans that can be used out of state. If you get a jury duty summons while out on the road, how will you handle that? Depending on your domicile state, dealing with such a summons may be as easy as calling in and letting someone know your situation, but it could be much more difficult or even impossible to get out of. Without a stationary home, you must find a way to have a street address and receive mail. This is where mail forwarding service step in. 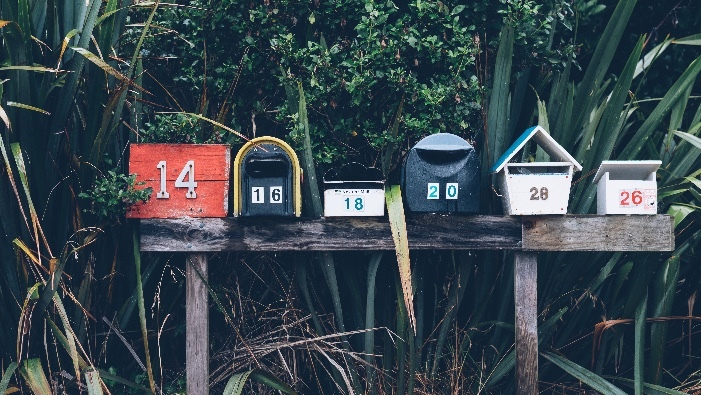 A mail forwarding service provides you with a physical address, not just a post office box. This means you can use your new address to open bank accounts, obtain a driver’s license, file taxes, and more. Additionally, such a service receives all of your mail, sorts it, and sends items your way whenever you may need them. There are mail forwarding services in all 50 states, and they can be absolute life savers for the full time traveler. Of course, if you plan on holding onto your sticks-and-bricks home you can choose to continue using that address instead. Another option is to use the address of a willing friend or family member. As long as someone is available and willing to pick up your mail and pass it on to you, these options can work out fine. Just be aware that when using the address of a friend or family member, you may have a hard time opening a bank account or taking out a loan should the financial institution require proof that you live there. 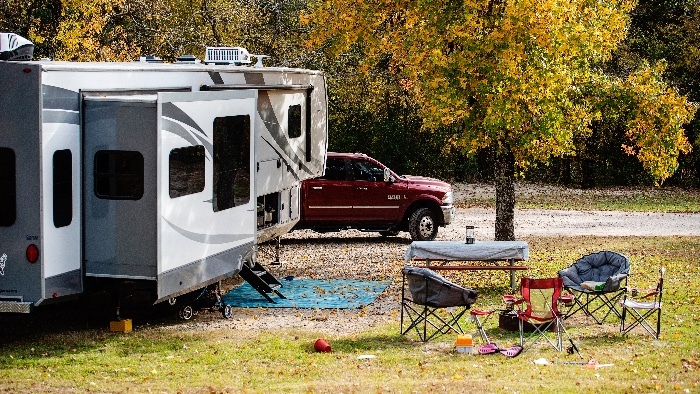 There are a few specific states that are incredibly popular with full time RVers. These states are popular for good reason. They all have some great benefits, and all three have wonderful and incredibly popular mail forwarding services available. Many full timing families choose Florida as their domicile state. While there are some regulations on homeschooling there, testing is fairly easy to bypass by joining an “umbrella” school. There is no state income tax or emissions testing, and insurance rates are relatively low. Those with Florida addresses also have access to some pretty awesome theme park and cruise discounts. Another super popular option for families on the road is Texas. Texas has no regulations when it comes to homeschooling, making it easy to take charge of your child’s education. This state also does not have state income taxes, and insurance rates are low. An annual emissions test is required, but if you’re out of state when your turn rolls around, you can just do the test when you return to the state. South Dakota is another great option. This state has no income tax, inheritance tax, or personal property tax. You also do not have to go through emissions testing in South Dakota, and vehicle registration fees are very reasonable. Homeschooling in this state is more difficult than in Texas, but not terribly so. Of course, these aren’t the only three options. There are mail forwarding services in every state, and by using a mail forwarding service or the address of a willing friend or family member, you can call any state “home”. Just make sure to do your research and check into the things listed above to be sure you’re making the right choice for you.